Just a reminder that snook season opens at midnight on January 31 (next Tuesday). Those fishing in the surf along Jensen Beach are catching pompano, and there are some nice whiting and croaker holding in the trough. The bridges of the Indian River are holding black drum and sheepshead, and big snapper and tripletail are biting around the docks in the St. Lucie River. There has been a great bluefish and ladyfish run along the beaches of Jupiter, and a few pompano were also reported. There are some pompano in the Intracoastal Waterway in the Jupiter area as well. 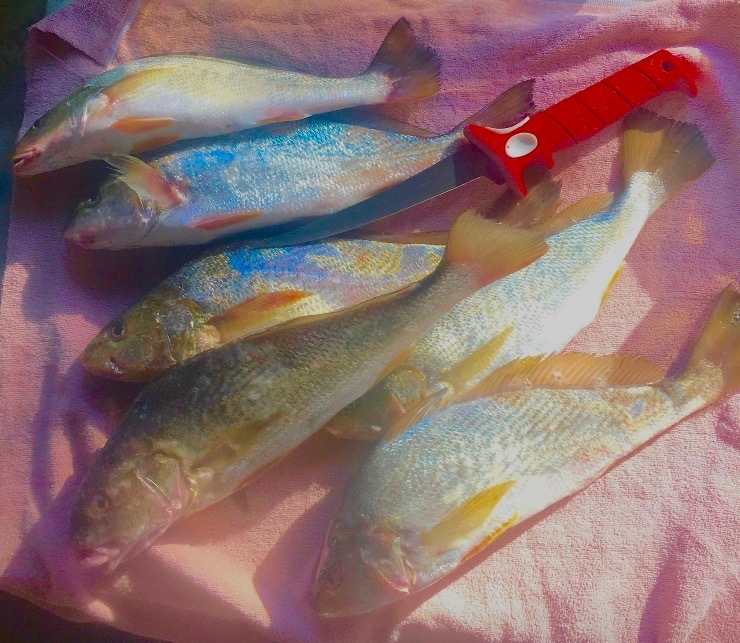 Jacks and "BIG"croaker are chewing around bridges and docks. Pompano were reported in the surf along Palm Beach along with big numbers of jacks. Jacks also seem to be everywhere in the Intracoastal throughout central and southern Palm Beach County. Fishing in the surf along Boynton Beach has been good for catching permit and pompano, and there’s a nice tarpon school just outside the inlet. There are tarpon inside the Boynton Beach Inlet as well, and sheepshead around the pilings. Black drum are holding around bridges and docks. The wind how certainly been howling on Lake Okeechobee this week which, depending on the direction it’s blowing, has made holding the outside edges and grass lines a bit tricky at times. This is unfortunate because that’s where some of the best bass fishing has been. You can definitely target bass in other areas as well, as they are starting to move off the grass beds. The cooler weather has led to productive fishing throughout the day and is no longer limited to small windows in the early-morning and late-evening hours. Live shiners remain the bait of choice, but anglers are definitely having success with artificial lures as well.